WASHINGTON (AP) — During the early days of the Russia investigation, FBI officials debated whether Donald Trump’s chance of winning should factor into how aggressively they investigated potential coordination between his campaign and the Kremlin, two FBI officials told Congress last year, according to newly released transcripts of their interviews. 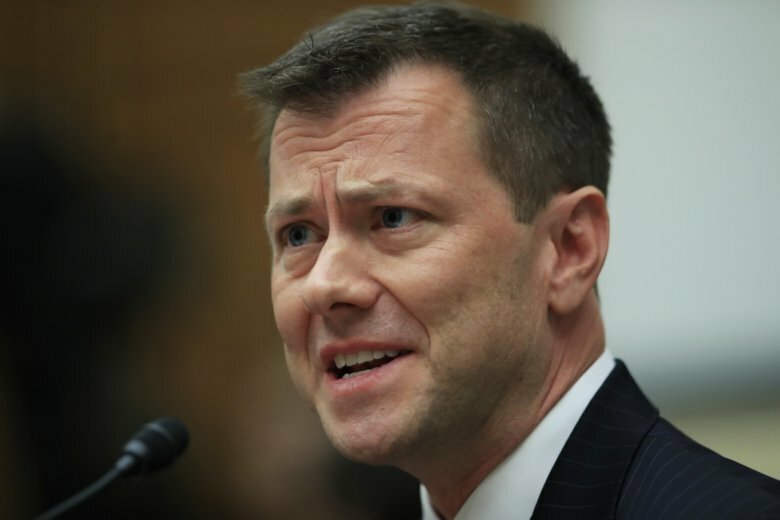 Peter Strzok, the former FBI agent who helped lead the investigation, told lawmakers in a closed-door interview that the FBI had received information from an “extremely sensitive source” alleging collusion between the government of Russia and members of the Trump campaign. FBI officials, including then-Deputy Director Andrew McCabe, debated internally how vigorously to follow up on that information given that Democrat Hillary Clinton was seen at the time as likely to defeat Trump, and an aggressive investigation had the potential of exposing the source. Strzok recalled that he disagreed that a candidate’s electability should be part of the equation. Those text messages have made Strzok and Page particular targets of outrage from Republicans and from Trump. Strzok was removed from special counsel Robert Mueller’s investigative team following the discovery of the texts and was later fired from the FBI. Page has since left the bureau. “It is further evidence that, contrary to the impression that the President’s allies in Congress tried to create with their selective and often inaccurate leaks, Pete at all times discharged his duties honorably, patriotically, and without regard to his personal political opinions,” Goelman said. In it, he wrote: “I want to believe the path you threw out for consideration in Andy’s office — that there’s no way he gets elected — but I’m afraid we can’t take that risk. It’s like an insurance policy in the unlikely event you die before you’re 40.” The name “Andy” is a reference to McCabe, then the No. 2 official at the FBI. Strzok insisted that he did not have an “insurance policy” to keep Trump from getting elected and noted how neither he nor anyone else at the FBI leaked details of the Trump campaign investigation even though such a disclosure would have been harmful to his election efforts. He said “there was no conspiracy” at the FBI to prevent Trump from becoming president, and said he and Page did not secretly scheme to block his path. Page provided a similar explanation during her own closed-door interview, saying she had urged caution in the investigation because if Trump didn’t win, there was less of a national security concern.